This type of pen can be commissioned. Each commissioned pen is unique. 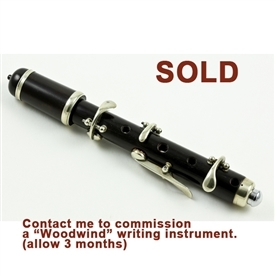 The Woodwind Pen can be commissioned, beginning at $500, by emailing me. Click on the photo for more images and details!